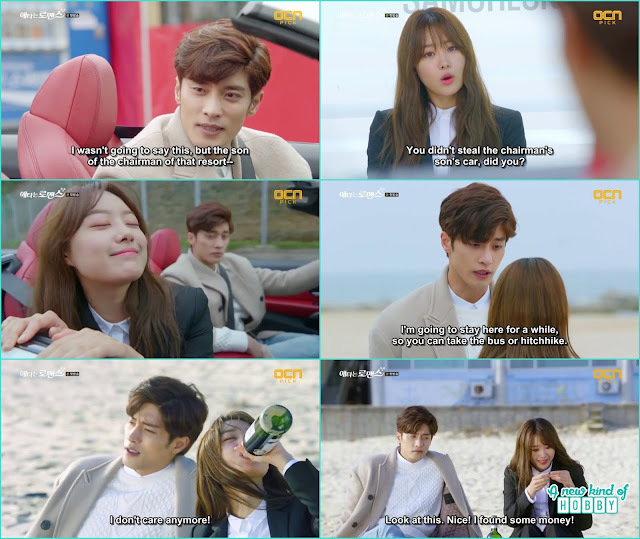 We were glad to see Sung Hoon another romantic play "My secret Romance". Previously he nailed "Noble my Love" and "Oh My venus". 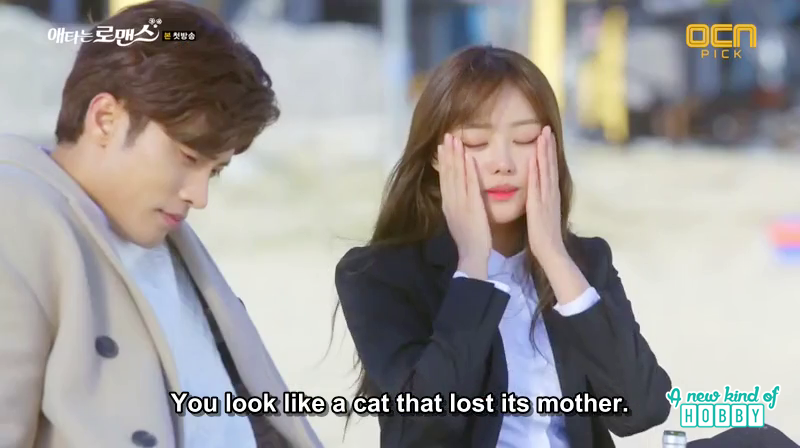 This time he plays the role of Jin Wook a Chaebol who was a play boy, moreover then a stupid jerk. He always found around pretty girls partying and clubbing. This makes him a mean and selfish. His father was fed up of his routein and daily scandals so as a punishment he cut allowance, freeze the cards and send him to work as the bell boy at one of their hotel. Song Ji Eun remind us of the mini drama "Longing for Spring". In this serial she plays the role of Yoo Mi the female lead who was a nutritionist but a clumsy one who always end up messing the food. 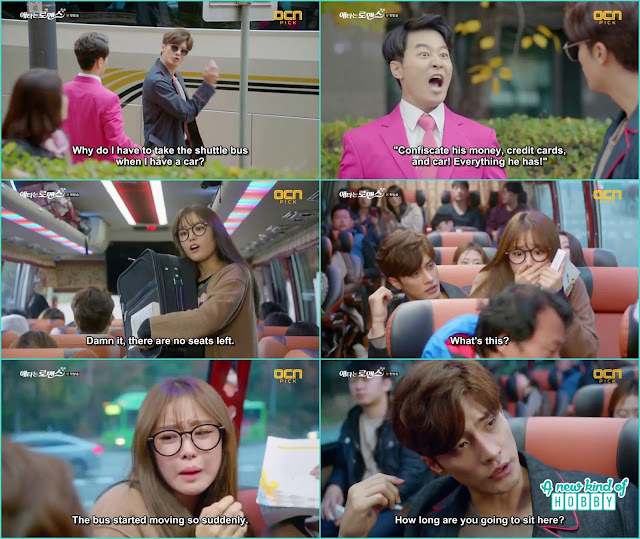 Jin Wook first encounter with yoo Mi was at the bus. The clumsiness of Yoo Mi irritates Jin Wook and many times he got hurt by her unintentionally. We really laugh when Yoo Mi falls in his lap as the bus suddenly starts, it was not her fault but made her position a little awkward. 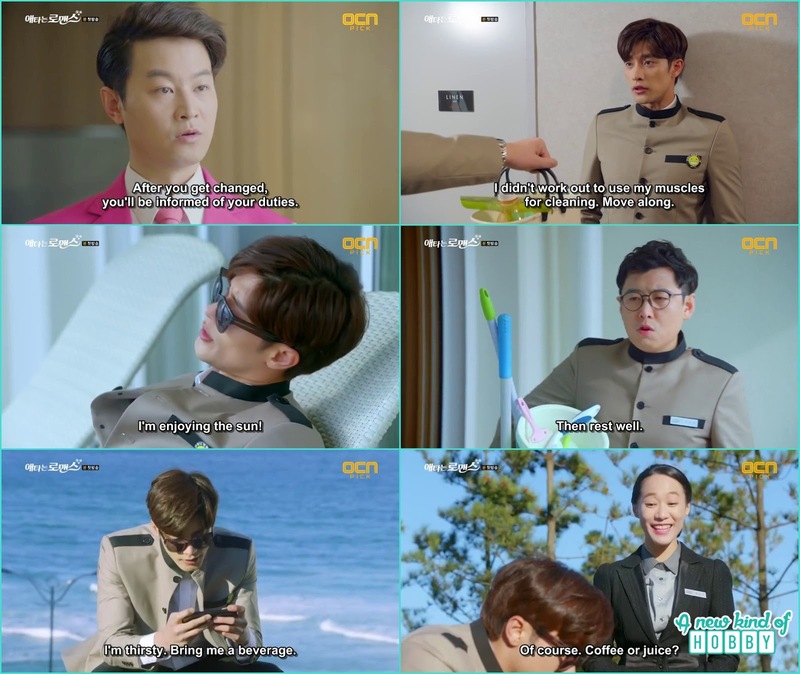 After transforming into a bell boy Jin Wook didn't forget to act the way he use to, he always order around the co workers as a superior and get in trouble. Where ever he roam he never forgot to create a mess with others. We are getting a good vibe for his arrogant behavior and built the expectations to see more of fun in the further episodes. 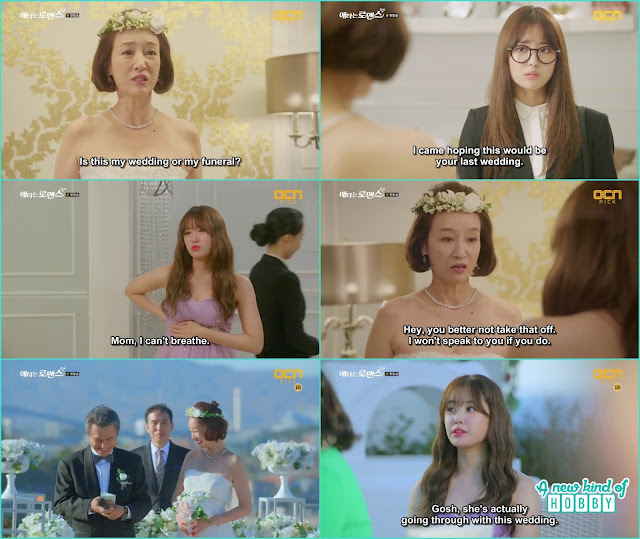 Yoo Mi was forcefully invited there by her mother. It was her mother second wedding yet Yoo Mi appear in the Grim Reapper dress wearing the blackout. The mother's scold her to change into the pretty one that she arranged, she also forcefully made her wear the extra bra pads in order to make the breast prominent. While the wedding ceremony every one started gossip when see the bride, who was the former adult movie actress. This gossip embarrassed Yoo Mi and reminded her of the painful past. She run from the wedding hall as couldn't face all the chatting and bumped into Jin Wook who was ready to bring in the wedding cake. She tripped her leg and fall along with Jin Wook on the floor. The double of embarrassment she had to face. Jin Wook receives a scolding for ruining the cake, he then realize what happened earlier with the girl and then came to apologize to her. There he lost his car keys. Yoo Mi wanted to clean up before leaving so she went to take the bath, she with holding the wine wanted to enjoy the time at the hotel but unfortunately slipped and got the body cramp which couldn't let her move. She shout for help Jin Wook who was looking for the key in the lobby heard the noise and barg into the room to help her, there he also found the car keys from the floor. It was another embarrassing encounter for Yoo Mi, before she could sent to hospital she woke up fine and tell she didn't hurt badly it was actually a little cramp. Jin Wook scolded her for not telling it earlier and make his position awkward. Jin Wook when coming back from her mother's hotel saw Yoo Mi who was waiting for the bus. He stopped the car and told her there won't be any bus coming this time and then offered her the ride. Seeing the bell boy all dress up riding an expensive car Yoo Mi doubted him as a thief , who stole someone's car lolx . Jin Wook was a bit sad so on his way he told Yoo Mi he will take a little rest at the beach. Yoo Mi who also was feeling lonely joined his company the two shared their loneliness over the wine. After spending the time together Yoo Mi suddenly started crying this makes Jin Wook a little worried he as if she was fine and Yoo Mi started having hiccups. This makes her more cute in the eyes of Jin Wook his heart flutter for a moment and he couldn't resist kissing her. At first Yoo Mi was startled and wanted to resist but it was her first time she couldn't able to avoid rather to respond it. The two had a happy time together in the car. It was the precious moments Yoo Mi had for the first time in her life and took the one night stand. OMG we never expect the passionate kiss and the scene in the very first episode. Stay tuned to watch more of their loving and sweet moments in the next episode.